Last year about the 130 day mark, life got a little (more like a lot crazy). I am happy to say since that time, I completed my Masters, relocated to Florida and began my teaching career! Sure life is, and will always be a little crazy, but at the same time I am feeling more settled and ready to try this 365 day challenge again! Will I make it…not sure, but I am sure going to try! Starting today January 1st 2013, I will post a quote from a book daily for one whole year. I believe the right quote has the ability to connect with you in a special way. Some quotes can really speak to us and we are able to relate to them in how they reflect our lives. 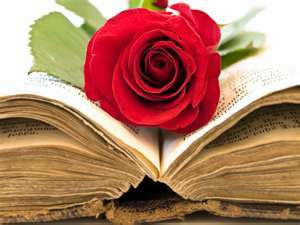 The right quote from a book has the power to connect and illuminate the meaning and purpose of a book and by relating to the quote the reader is able to connect with the book. So with my love of books…. Welcome to my 365 Project 2012! So when I stumbled upon the Project 365 idea, I thought this could be a fun way to combine both the things I love! The plan will be starting January 1st 2012, I will post a quote from a book daily for one whole year. Not only will this be a great way for me to revisit and discover 365 books, this will also be a test to see if I can fully commit myself to a project like this for an entire year.